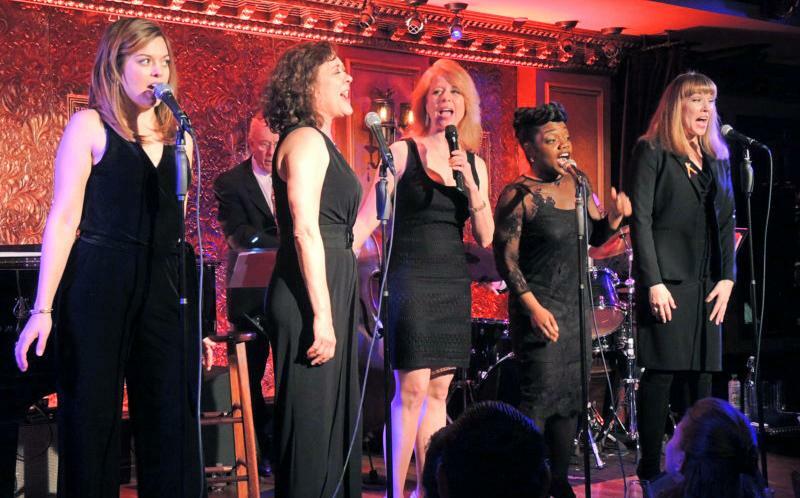 A quartet of Broadway's top leading ladies—Nancy Anderson, Kenita Miller, Elena Shaddow, and Karen Ziemba—join forces to pay tribute to immortal women songwriters in this delightful cabaret performance. Throughout musical theater history, there have been a few bold pioneers-in-heels who crashed the songwriting boys' club: Marilyn Bergman, Dorothy Fields, Mary Rodgers, Jeanine Tesori, Betty Comden and Carolyn Leigh. These are the women behind timeless songs and shows like "On the Sunny Side of the Street," Sweet Charity, On the Town, "Witchcraft," Once Upon a Mattress, and many more. The work of these women is celebrated in Baby, Dream Your Dream, a musical revue scripted and hosted by Deborah Grace Winer. A leading expert on the classic American Songbook, Winer completed nine seasons as artistic director of the 92Y's Lyrics & Lyricists concert series, where Baby, Dream Your Dream was born. At NJPAC, the performance will feature Nancy Anderson (A Class Act, Wonderful Town); Kenita Miller (Once on This Island, The Color Purple); Elena Shaddow (The Visit, NBC's The Sound of Music Live! ), and Tony winner Karen Ziemba (Curtains, Chicago, Lincoln Center Theater's Contact). Baby, Dream Your Dream is directed by Mark Waldrop (Howard Crabtree's When Pigs Fly), with music direction and arrangements by John Oddo, who will lead an all-star jazz trio. "Baby, Dream Your Dream blazes with relevance," says Cabaret Scenes. "This tribute to women writers couldn't be more timely," says Theater Pizzazz.